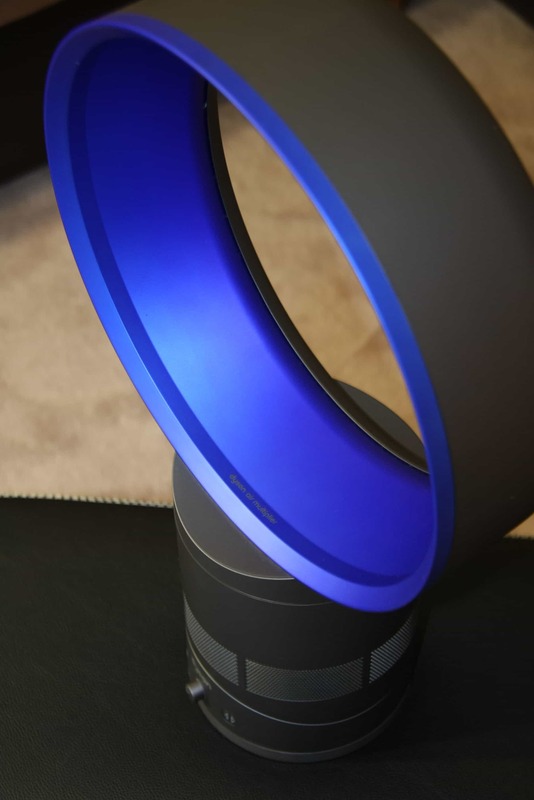 Last year I wrote a brief post about the Dyson Air Multiplier “Bladeless” fan and crowned it the “coolest fan in the world”. I would’ve never thought about writing a post on a fan, let alone doing a full review of the fan. Because, after all, a fan is a fan; but the Dyson Air Multiplier is no ordinary fan and deserves a full review. I’ve had the fan for a few weeks and I stand behind the “coolest fan in the world” title. 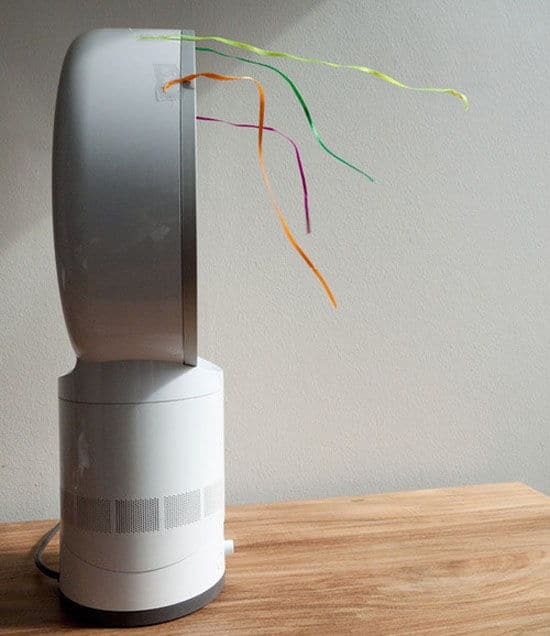 This fan is simply awesome, the design is minimalist and it looks perfect in any room in the house or at the office. Regular “bladed” fans take away from a nicely decorated room while the Dyson Bladeless fan adds to the design. Unlike regular fans, the Dyson Air Multiplier doesn’t have the big ugly blades; instead you get a cool looking ring on top of a cylinder. The ring is empty, blowing air at you from the circumference; you can put your hand through the ring without any adverse effects. 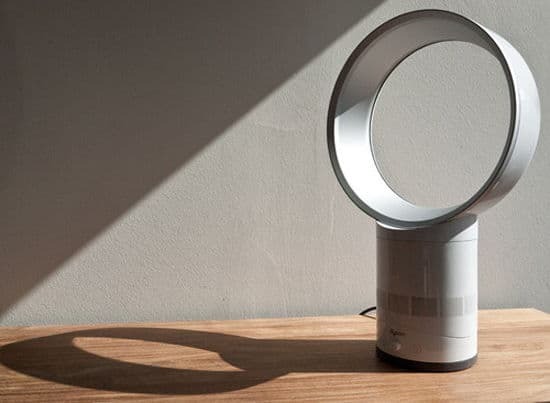 The fan produces air via a small turbine placed within the tower that acts like a turbocharger, pushing air up to the ring, accelerating it 18-folds as it’s sent out without the buffeting effect one gets from a regular fan. The air seemed to be cooler than room temperature, I’m not sure if it really was or it was just my imagination and I don’t have any scientific data to prove it but I did talk to an engineer and he said when air is compressed, it gets cooler. The controls for the Air Multiplier are simple, placed on the bottom part of the tower, and consist of two buttons and one knob. The first button turns the fan on and off and the second button controls the rotating function; the knob controls the fan speed. I would have like the addition of a remote control for the above mention controls but maybe that’s offered on the higher models. 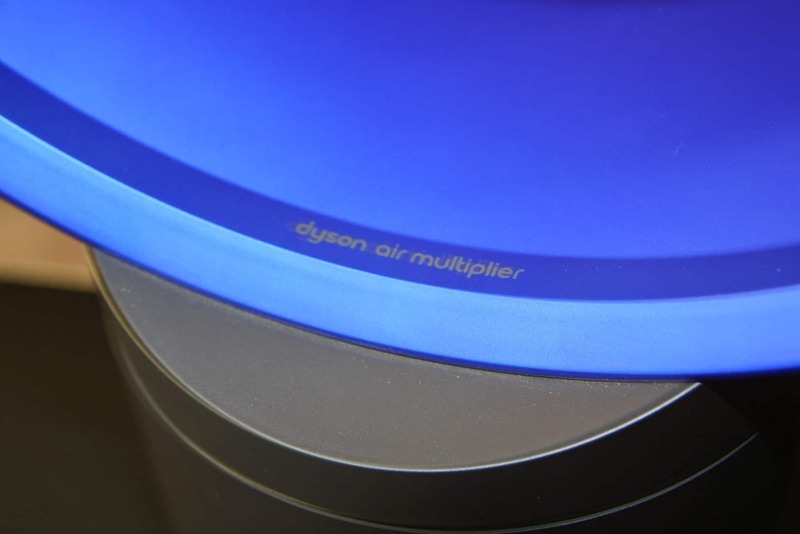 Overall my experience with the Dyson Air Multiplier fan was a positive one and it was the focal point of all the conversations whenever we had guests over; I doubt a regular fan would have the same effect on guests. My only complaint, a minor one, is the noise the fan makes. It’s not too loud but a bit louder than a same sized bladed fan. I did really like the sound the turbine makes when you turn it on and off, as the blade is getting ready to wind up and down, it almost sounds like a jet engine. 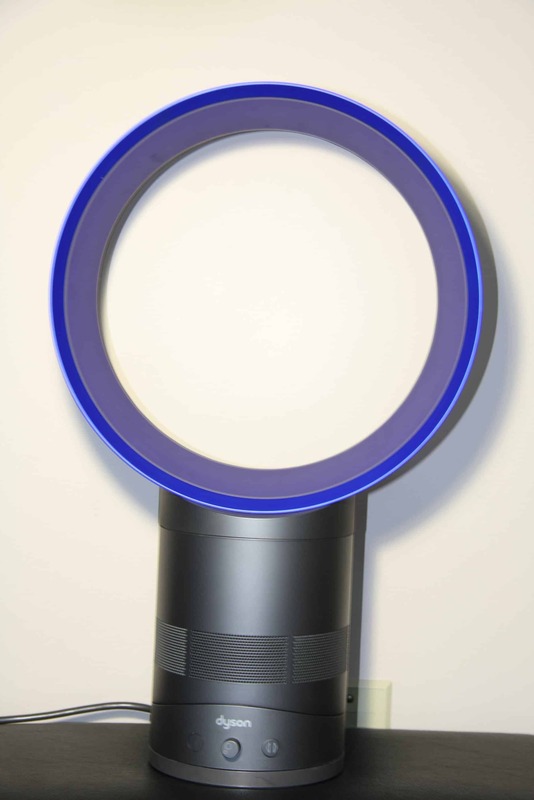 The Dyson Air Multiplier bladeless fans come in various sizes and range in prices from $299 to $449. Your only complaint counteracts Dyson’s claim in the infomercials I’ve seen – he says they’re virtually silent compared to bladed fans… interesting. I think the sound the infomercial is talking about is the buffeting sound the fan blades make on regular fans. The Air Multiplier doesn’t make that sound but the sound I’m referring to is the sound of the “engine”, that’s louder than a regular $20 fan I compared it to. What do you mean exactly? I’m fairly certain there are no external blades. I’m pretty sure air heats up when it’s compressed, like all fluids. PV = nRT.. n and r are constants in this case, so if you increase P and V is unchanged, then T goes up. Thermodynamics.